It is with great pride (and significant relief) that we wish to announce the inaugural release from Workman/Ayer. Our wine is the result of a project dedicated to producing small lots of ultra- premium Rhone style wines from California’s Central Coast. “De facto” is a Latin phrase meaning in fact, indeed, actually, and a synonym for genuine, real, sure enough and true. The 2010 “de facto”, is a wine that exists solely according to the vagaries of the vintage and our minimalist winemaking techniques. It is a wine that must be accepted as well as appreciated simply for what it is. We believe that the 2010 “de facto” is the genuine article and hope that you will take this opportunity to enjoy our inaugural vintage release. Our story began years ago with the joining of two great families. 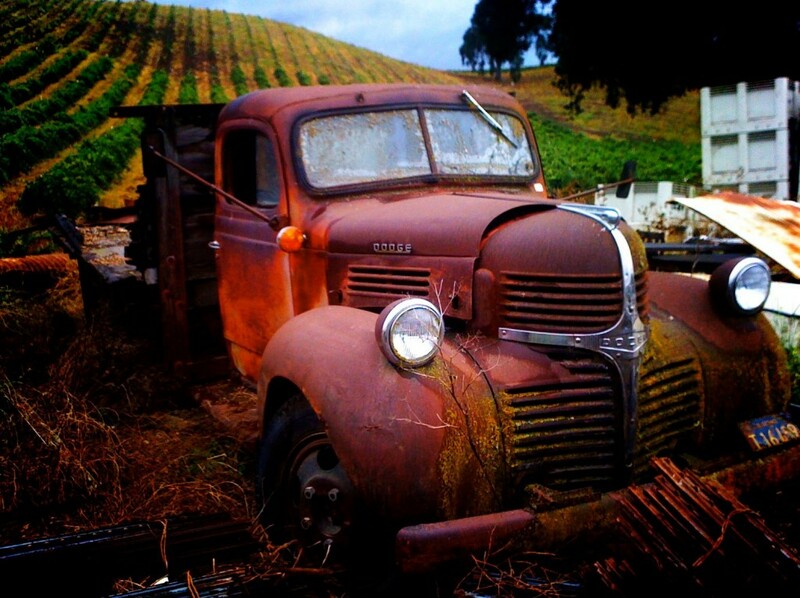 The Workman family has a long and broad history in the northern California wine business. The Ayer family has deep roots in agriculture in Iowa and California. 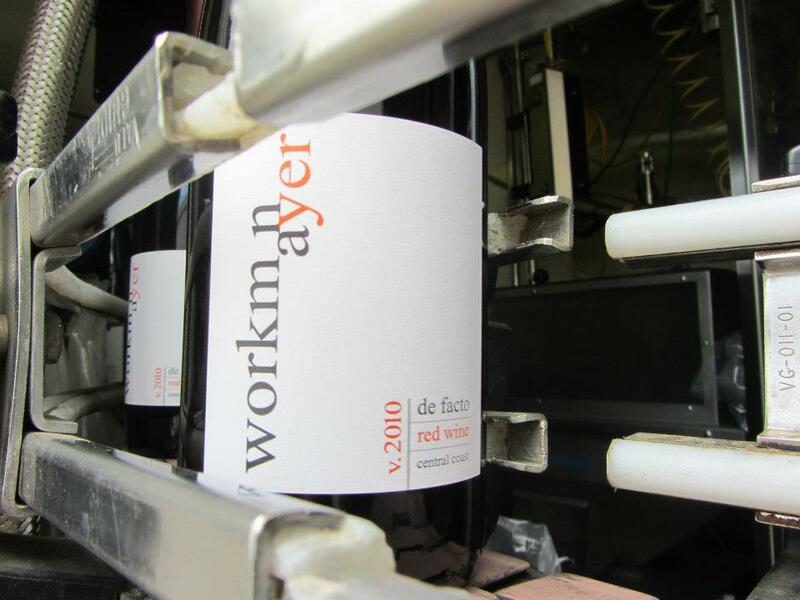 These two families have come together to produce the 2010 Workman/Ayer “de facto” red wine. 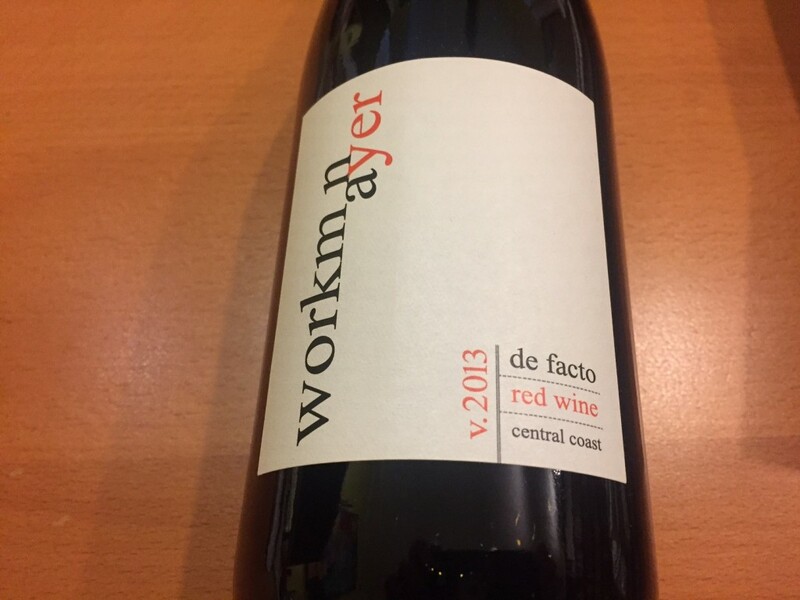 The 2010 “de facto” is a blend of Syrah, Grenache and Mourvedre from California’s central coast, a region known for producing Rhone-style wines of great depth and character. The Syrah brings power to the blend while the Grenache adds softness along with spicy berry flavors and the Mourvedre provides tannic structure. 74 cases of the 2010 “de facto” were produced. The 2010 “de facto” is available to order for $46/bottle plus tax and shipping and we offer a 10% discount on purchases of 12 or more bottles. To place an order please join our mailing list and we’ll contact you with availability. Thank you for your support and we look forward to hearing from you. Aroma: Sweetened pink grapefruit, white peach, kiwi, juicy apricot, cotton candy and the hint of wet stones. Flavor: The same apricot, with the addition of cling peaches, giving a nice viscosity and mouthfeel; some acidity in the mid palate and lingering fruit in the back palate for a nice finish. Aroma: The blackberry, blueberry, stewed mushrooms and oak tree bark made me want to linger over this one. Flavor: Juicy blackberry with a backbone of green to black pepper and wonderful spice. Surprised by this new winery and their first vintage. Find them online and give your senses a new winery to cuddle up to. Michel makes a white Rhône, a 100% Viognier; and a red Rhône, a Syrah, Grenache and Mourvedre blend. Eve’s Wine 101: Tasting the First Rhones from Workman Ayer, July 2014, SCV Beacon. Before the tasting I reached out to Michel to ask him what was new and what the future holds for him. 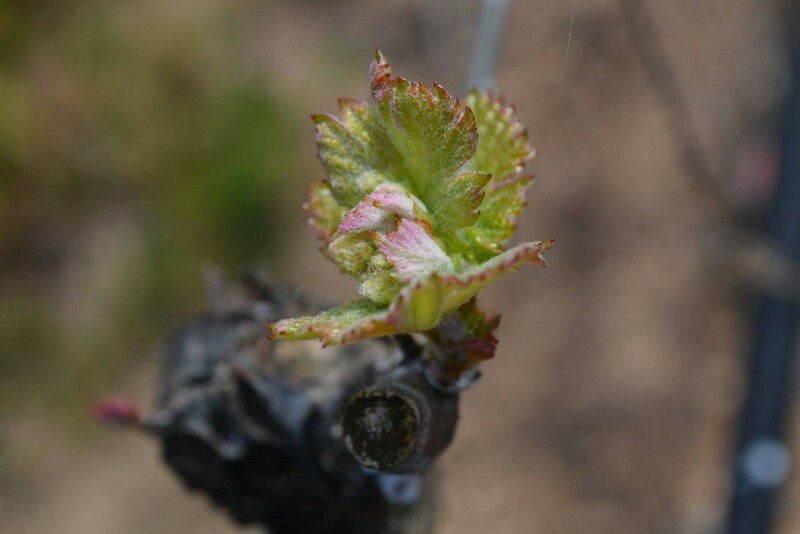 No particular challenges in the vineyards in 2013 despite continued drought conditions. Real challenges begin with 2015 and yields being down and therefore fruit prices being up. 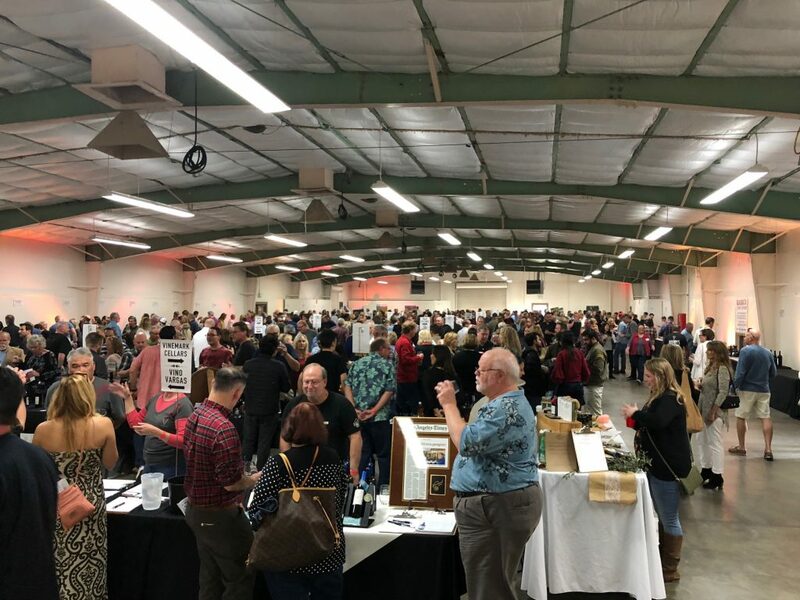 As for the future, hope to get over to California in January to pour at wineLA’s Stars of Santa Barbara in both Orange County and Beverly Hills, but have yet to solidify that plan. Am also working to expand production on our existing two wines as well as explore adding a Grenache dominant blend and a white Rhône blend (both initially likely only via mailing list). Aromas of black cherry, plum, red roses and a hint of black licorice and black olives. Flavors included ripe and rich black fruit, green peppercorn, cigar, charred steak, that same hint of black olive and firm tannins. 90 Eve pts. at the first taste, 91 Eve pts. After 10 minutes in my glass. Other scores include: 91 from The Corkscrewer Report, 89 Wine Enthusiast magazine, and 88 from Connoisseurs’ Guide. 2013 was a warm, dry growing season. In every single month from March through November, valley temperatures were above the historical average and precipitation was below. Thankfully, the rest of the growing season was fairly problem free – no massive heat spikes and less frost problems than normal resulting in a large, but high quality harvest – despite the drought conditions. 30% Los Alamos Syrah, 25% Ballard Canyon Syrah, 25% Santa Ynez Valley Syrah, 10% Los Alamos Grenache, .10% Los Alamos Mourvedre. Production: 100 cases 750 ml. The bulk of the Syrah was from Los Alamos and was its typical self – big, fat, chewy, smoky. The Ballard Canyon Syrah was off the charts good with nice oak. Then there was some Santa Ynez Valley Syrah. We used two lots – the first pick and the last pick. The first pick was zingy and perfumy, which added a great backbone to the blend. The last pick was dark and brooding, but still nice aromas. It was a nice balance of the two. The Mourvedre was a bit tannic and structured, which was a nice addition. The Grenache was little softer than normal, but loads of nice strawberry. The blend was aged in approximately 40% new French oak for 20 months. Bright, fresh aromas of strawberry, white pepper, anise, smoked meat, caramel and kirsch. Broad, expansive and mouthwatering on the palate, with flavors of sweet raspberry, strawberry, tart plum, earth and semi-sweet chocolate. Very long finish with continuing bright, fresh fruit and rich tannins. Remarkably forward now, but also deep and structured. The ol’ iron fist in a velvet glove!